Snip, snip! See what you can do with just paper, scissors and glue. We’ll kick off this social hands-on workshop with an overview of the incredible variety of papercutting traditions found across the world — scherenschnitte in Germany and papel picado in Mexico, for example — and related art forms, including collage, leaf carving, silhouettes, and animation. After demonstrations on key papercutting techniques and pointers on sourcing supplies, we’ll dive right into cutting paper and craft the night away. We’ll have a playlist and drinks on hand to help those creative juices flow. Expect to go home with an original piece of art or greeting cards of your own design. We’ll have all the basic supplies on hand. There’s no requirement to bring anything with you. However, if you have a lucky pair of scissors or particular papers or collage materials you’d like to work with, bring those. 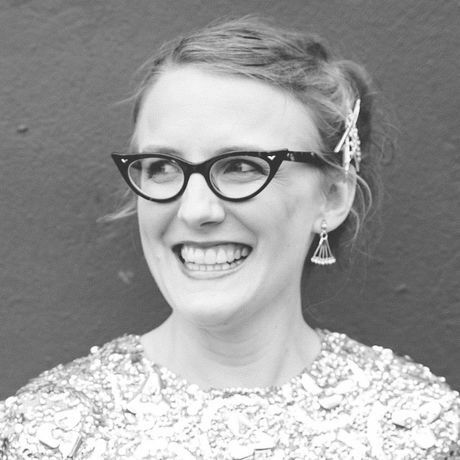 Julie Smith Schneider is a writer and maker in Brooklyn, NY. She has founded two long-running craft programs, Etsy’s Craft Night and Greenpoint Hand Skills; launched a paper goods company called Your Secret Admiral (currently on hiatus); and taught DIY workshops around the globe. Follow her projects on Instagram and GIPHY.